Thecal plate structure of the epitheca. The epitheca has been flattened and broken apart at the joint between the first apical plate and the fourth apical and sixth precingular plates. One can see a pore along the join between the first and fourth apical . © Robin Raine (Robin.Raine@nuigalway.ie). Type locality: English Channel: River Tamar Estuary, near Plymouth, United Kingdom (Faust & Gulledge 2002: 18). Notes: "LECTOTYPE: Plate XIV, figures 1a-1d (Lebour 1925) is designated here as the lectotype for Gonyaulax tamarensis M. Lebour (ICN Art 9.8). EPITYPE: SEM stub of strain ATSW01-1 is designated here as epitype for A. tamarense (M. Lebour 1925) Balech 1985 emended U. John (Fig. 5). It is deposited at the Herbarium Senckenbergianum (FR) in the Centre of Excellence for Dinophyte Taxonomy (identification number CEDiT2013E27)." (John et al. 2014: 792). Alpermann, T.J., Tillmann, U., Beszteri, B., Cembella, A.D. & John, U. (2010). Phenotypic variation and genotypic diversity in a planktonic population of the toxigenic marine dinoflagellate Alexandrium tamarense (Dinophyceae). Journal of Phycology 46(1): 18-32. Bravo, I., Garcés, E., Diogene, J., Fraga, S., Sampedro, N. & Figueroa, R.I. (2006). Resting cysts of the toxigenic dinoflagellate genus Alexandrium in recent sediments from the Western Mediterranean coast, including the first description of cysts of A. kutnerae and A. peruvianum. European Journal of Phycology 41(3): 293-302. Carignan, M.O. & Carreto, J.I. (2013). Characterization of mycosporine-serine-glycine methyl ester, a major mycosporine-like amino acid from dinoflagellates: a mass spectrometry study. Journal of Phycology 49(4): 680-688. Chan, C.X., Soares, M.B., Bonaldo, M.F., Wisecaver, J.H., Hackett, J.D., Anderson, D.M., Erdner, D.L. & Bhattacharya, D. (2012). Analysis of Alexandrium tamarensie (Dinophyceae) genes reveals the complex evolutionary history of a microbial eukaryote. Journal of Phycology 48(5): 1130-1142. Collins, C., Graham, J., Brown, L., Bresnan, E., Lacaze, J.-P. & Turrell, E.A. (2009). Identification and toxicity of Alexandrium tamarense (Dinophyceae) in Scottish waters. Journal of Phycology 45(3): 692-703, 7 figs, 1 table. Fauchot, J., Levasseur, M., Roy, S., Gagnon, R. & Weise, A.M. (2005). Environmental factors controlling Alexandrium tamarense (Dinophyceae) growth rate during a red tide event in the St. Lawrence Estuary (Canada). Journal of Phycology 41: 263-272. Gagnon, R., Levasseur, M., Weise, A.M., Fauchot, Campbell, P.G.C., Weissenboeck, B.J., Merzouk, A., Gosselin, M. & Vigneault, B. (2005). Growth stimulation of Alexandrium tamarense (Dinophyceae) by humic substances from the Manicouagan River (Eastern Canada). Journal of Phycology 41: 489-497. John, U., Litaker, R.W., Montresor, M., Murray, S., Brosnahan, M.L. & Anderson, D.M. (2014). Formal revision of the Alexandrium tamarense species complex (Dinophyceae) taxonomy: the introduction of five species with emphasis on molecular-based (rDNA) classification. Protist 165: 779-804. Kennaway, G.M. & Lewis, J.M. (2004). An ultrastructural study of hypnozygotes of Alexandrium species (Dinophyceae). Phycologia 43: 353-363, 22 figs, 1 table. Kim, S. (2006). Patterns in host range for two strains of Amoebophyra (Dinophyta) infecting thecate dinoflagellates: Amoebophyra spp. ex Alexandrium affine and ex Gonyaulax polygramma (Note). Journal of Phycology 42: 1170-1173. Kobiyama, A., Ikeda, Y., Koike, K & Ogaka, T. (2007). Isolation of a differentially expressed gene in separate mating types of the dinoflagellate Alexandrium tamarense. European Journal of Phycology 42(2): 183-190, 5 figs. Lilly, E.L., Halanych, K.M. & Anderson, D.M. (2007). Species boundaries and global biogeography of the Alexandrium tamarense complex (Dinophyceae). Journal of Phycology 43: 1329-1338. Nagai, S., Lian, C., Yamaguchi, S., Hamaguchi, M., Matsuyama, Y., Itakura, S., Shimada, H., Kaga, S., Yamauchi, H., Sonda, Y., Nishikawa, T., Kim, C.-H. & Hogetsu, T. (2007). Microsatellite markers reveal population genetic structure of the toxic dinoflagellate Alexandrium tamarense (Dinophyceae) in Japanese coastal waters. Journal of Phycology 43: 43-54. Sebastián, C.R., Etheridge, S.M., Cook, P.A., O'Ryan, C. & Pitcher, G.C. (2005). Phylogenetic analysis of toxic Alexandrium (Dinophyceae) isolates from South Africa: implications for the global phylogeography of the Alexandrium tamarense species complex . Phycologia 44: 49-60. Toebe, K., Alpermann, T.J., Tillmann, U., Krock, B., Cembella, A. & John, U. (2013). Molecular discrimination of toxic and non-toxic Alexandrium species (Dinophyta) in natural phytoplankton assemblages from the Scottish coast of the North Sea. European Journal of Phycology 48(1): 12-26. Zonnefeld, K.A.F., Marret, F., Versteegh, G.J.M., Bogus, K., Bonnet, S., Bouimetarhan, I., Crouch, E., Vernal., A. de V., Elshanawany, R., Edwards, L., Esper, O., Forke, E., Grøsfjeld, K., Henry, M., Holtzwarth, U., Kielt, J.-F., Kim, S.-Y., Ladouceur, S., Ledu, D., Chen, L., Limoges, A., Londeix, L., Lu, S.-H., Mahmoud, S., Marino, G., Matsouka, K., Matthiessen, J., Mildenhal, D.C., Mudie, P., Neil, H.L., Pospelova, V., Qi, Y., Raadi, T., Richerol, T., Wang, Y., Wang, Z.-H. & Young, M. (2012). Atlas of modern dinoflagellate cyst distribution based on 2405 data points. Review of Palaeobotany and Palynology 191: 1-197, 292 figs. Accesses: This record has been accessed by users 10392 times since it was created. Adachi, M., Sako, Y. & Ishida, Y. (1996). Note: Identification of the toxic dinoflagellates Alexandrium catenella and A. tamarense (Dinophyceae) using DNA probes and whole-cell hybridization. Journal of Phycology 32: 1049-1052, 1 fig, 1 table. Blanco, E.P. & Lewis, J. (2014). A comparative study of Alexandrium tamarense cyst distribution in Belfast Lough. European Journal of Phycology 49(2): 255-263. Cho, E.S. & Lee, H.J. (2001). Thecal plates, toxin content and growth of five clones of Alexandrium tamarense (Dinophyceae) isolated from Jinhae Bay, Korea. Phycologia 40: 435-439. Choi, K.-J., Ha, C.-H., Han, M.-S., Jeon, J.-K., Kim, K.-T., Lee, H.-O. & Yoon, M.-Y. (1999). Identification and characterization of nitrate reductase in a marine dinoflagellate, Alexandrium tamarense. Algae 14(3): 189-194, 3 figs, 2 tables. Collos, Y., Hadjadji, I., Plisson, B., Cecchi, P., Laabir, M., Bechemin, C. & Masseret, E. (2011). Phased oscillations in cell numbers and nitrate in batch cultures of Alexandrium tamarense (Dinophyceae). Journal of Phycology 47(5): 1057-1062. Destombe, C., Cembella, A.D., Murphy, C.A. & Ragan, M.A. (1992). Nucleotide seguence of the 18S ribosomal RNA genes from the marine dinoflagellate Alexandrium tamarense (Gonyaulacales, Dinophyta). Phycologia 31: 121-124, 1 fig. Doucette, G.J., Cembella, A.D. & Boyer, G.L. (1989). Cyst formation in the red tide dinoflagellate Alexandrium tamarense (Dinophyceae): effects of iron stress. Journal of Phycology 25: 721-731, 23 figs. Han, M.-S., Jeon, J.-K. & Yoon, Y.-H. (1993). Distribution and toxin profiles of Alexandrium tamarense (Lebour) Balech (Dinoflagellate) in the southwestern coastal waters, Korea. Korean Journal of Phycology 8(1): 7-13, 3 figs, 2 tables. Higman, W.A., Stone, D.M. & Lewis, J.M. (2001). Sequence comparisons of toxic and non-toxic Alexandrium tamarense (Dinophyceae) isolates from UK waters. Phycologia 40: 256-262. Itakura, S. & Yamaguchi, M. (2001). Germination characteristics of naturally occurring cysts of Alexandrium tamarense (Dinophyceae) in Hiroshima Bay, Inland Sea of Japan. Phycologia 40: 263-267. Kim, K.-Y., Yoshida, M., Fukuyo, Y. & Kim, C.-H. (2002). Morphological observation of Alexandrium tamarense (Lebour) Balech, A. catenella (Whedon et Kofoid) Balech and one related morphotype (Dinophyceae) in Korea. Algae 17(1): 11-19, 3 figs, 1 tale. Laurion, I. & Roy, S. (2009). 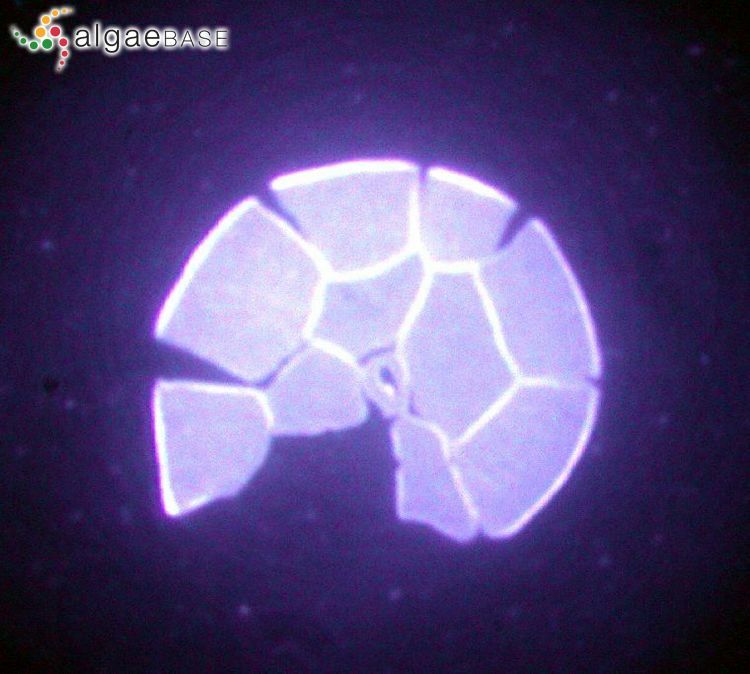 Growth and photoprotection in three dinoflagellates (including two strains of Alexandrium tamarense) and one diatom exposed to four weeks of natural and enhanced ultraviolet-B radiation. Journal of Phycology 45: 16-33. Leblond, J.D. & Dahmen, J.L. (2012). Mono- and digalactosyldiacylglycerol composition of dinoflagellates. V. The galactolipid profile of Alexandrium tamarense (Dinophyceae) during the course of infection by the parasitic syndinian dinoflagellate Amoebophrya sp.. European Journal of Phycology 47(4): 490-497. Lee, H.-O., Cheun, B.S., Watanabe, E. & Han, M.-S. (2000). Comparison of HPLC analysis and a channel biosensor in the detection of PSP toxin in natural Alexandrium tamarense population. Algae 15(1): 61-64, 4 figs. Orlova, T.Y., Selina, M.S., Lilly, E.L. Kulis, D.M. & Anderson, D.M. (2007). Morphogenetic and toxin composition variability of Alexandrium tamarense (Dinophyceae) from the east coast of Russia. Phycologia 46: 534-548. Sako, Y., Hosoi-Tanabe, S. & Uchida, A. (2004). Fluorescence in situ hybridization using rRNA-targeted probes for simple and rapid identification of the toxic dinoflagellates Alexandrium tamarense and Alexandrium catanella. Journal of Phycology 40: 598-605. Scholin, C.A., Hallegraeff, G.M. & Anderson, D.M. (1995). Molecular evolution of the Alexandrium tamarense 'species complex' (Dinophyceae): dispersal in the North American and West Pacific regions. Phycologia 34: 472-485, 4 figs, 1 table. Shi, Y., Hu, H. & Cong, W. (2005). Positive effects of continuous low nitrate levels on growth and photosynthesis of Alexandrium tamarense (Gonyaulacales, Dinophyceae). Phycological Research 53(1): 43-48. Shin, H.H., Yoon, Y.H., Kawami, H., Iwataki, M. & Matsuoka, K. (2008). 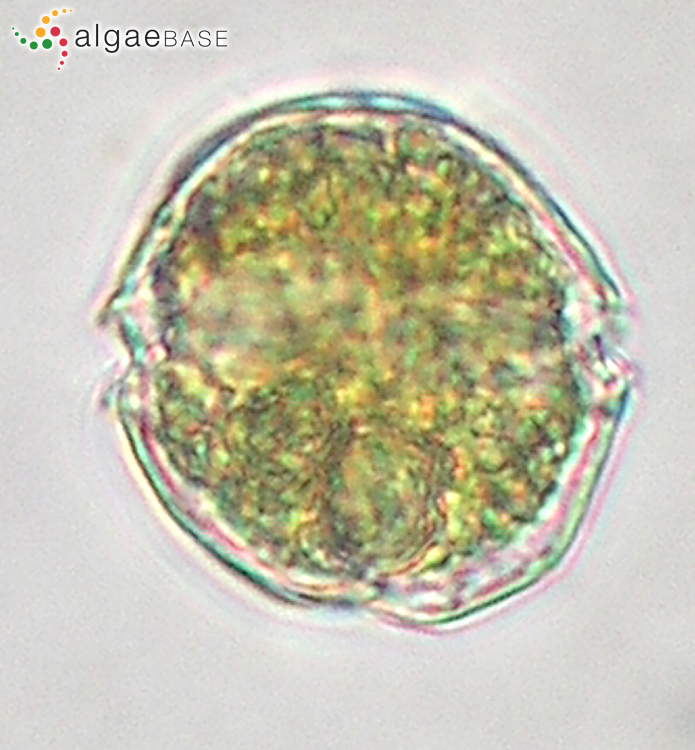 The first appearance of toxic dinoflagellate Alexandrium tamarense (Gonyaulacales, Dinophyceae) responsible for the PSP contaminations in Gamak Bay, Korea. Algae 23(4): 251-255, 5 figs. Yamamoto, T. & Tarutani, K. (1999). Growth and phosphate uptake kinetics of the toxic dinoflagellate Alexandrium tamarense from Hiroshima Bay in the Seto Inland Sea, Japan. Phycological Research 47: 27-32. Yoshida, T., Sako, Y. & Uchida, A. (2001). Geographic differences in paralytic shellfish poisoning toxin profiles among Japanese populations of Alexandrium tamarense and A/ catenella (Dinophyceae). Phycological Research 49: 13-22.